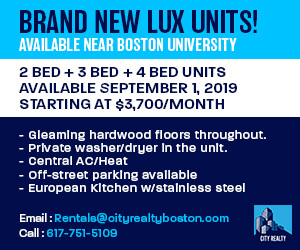 Boston Mayor Martin Walsh plans to raise prices for metered street parking in neighborhoods across the city, an effort to ease congestion and make parking easier while also raising some $5 million in revenue for Boston’s transportation network. Under the plan, Boston’s baseline parking rate would increase from $1.25 to $2 an hour, according to a City press release. 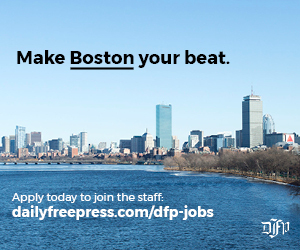 Metered parking in Kenmore and Fenway would cost even more, $2.50 an hour, and rates in certain areas of the Seaport neighborhood would be as high as $3.75 an hour. These changes are scheduled to go into effect on July 1. According to the release, Boston’s increased fares would still be low compared with other U.S. cities, such as Seattle where rates are up to $4 an hour, and San Francisco and Chicago where rates are up to $6.50 an hour. The higher parking rates are part of a larger transportation initiative in Walsh’s proposed 2020 fiscal year budget. Besides the meter rate increases, Walsh’s budget allots $2 million to improve bike infrastructure, $4 million to reconstruct sidewalks and $8 million for roadway and bridge repairs. Walsh said in the release that “investing in transportation that works for everyone” was a major goal for his administration. The new parking plan was developed according to data gathered from a two-year “performance parking” pilot that the City conducted starting in 2016, according the release, which found that raising parking meter rates eased congestion and increased space availability. In Back Bay, one of the neighborhoods tested in the pilot, double parking decreased by 14 percent and illegal parking decreased by 22 percent, the release stated. On average, the area saw a parking space available on every block. 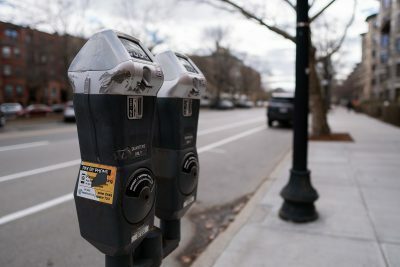 Stacy Thompson, executive director of the Cambridge-based transportation advocacy group LivableStreets Alliance, said she thought the move to increase parking rates was a good idea and that the City could consider raising prices even higher. As for the economic benefit of these price increases, Thompson said rather than push customers away from streetside stores and businesses, they would actually encourage greater customer turnover, as drivers would cycle out of parking spaces faster to avoid paying more. Thompson said the transportation sector ranks as the largest producer of greenhouse gasses in the state, and in order to truly be environmentally friendly, the state must get more people out of cars and onto alternative modes of transport. “For folks who really care about the emissions in the city, we need to be implementing strategies that will disincentivize driving and incentivize carbon-free or low carbon options like taking transit, walking or biking,” Thompson said. Jordan Liang, 22, of Brighton, takes the 57 or the 60 bus home and said the City needs to be mindful of how the parking fare increases will affect people who use the T.
Kelsey Johnson, 23, of Allston, takes the 57 bus home and said while the Mayor’s initiative might be able to get cars off the streets, the City needs to increase the capacity of certain congested public transportation lines.